As we pondered in my previous post, what is AI and will it take over the world, turning humans into slaves and toys to the robots? This question and others were explored and discussed by a panel of experts at AI World. The panel discussion was led by Parna Sarkar-Basu—CEO and brand strategist, Brand and Buzz Marketing, and Boston Network Executive Advisor for Women in Technology International (WITI). 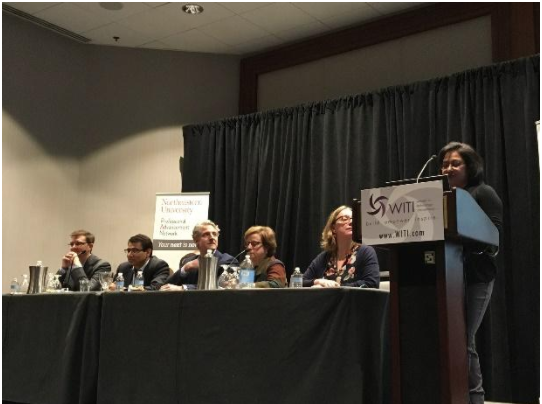 The panel was hosted by WITI Boston and sponsored by Northeastern University. Parna kicked off the panel by sharing her views on AI and saying that AI is part of our lives today—whether we know it or not. It's in our phones, in our homes, and in our cars. The fashion industry uses AI, and retailers like Macy's, Nordstrom, and NorthFace are using AI to improve the customer experience. 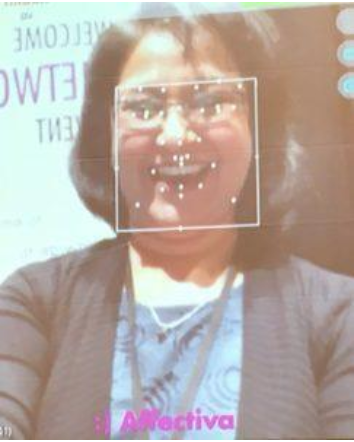 Financial institutions are harnessing AI systems to tackle regulatory demands.To improve the fan experience, even the NBA and NHL are using AI, and the athletes are also using wearable tech to optimize training and performance, said Parna. Should we be worried about what all this Artificial Intelligence will do to us? Will the robots win? Buckle up, and let's see what they had to say. Tom Frost, President, Endeavor Robotics. Creating smarter military ground robots. Pranav Pasricha, CEO, Intellect SEEC. Using AI to improve processes in the insurance and wealth industries. Gabi Zijderveld, CMO, Affectiva. Using AI to interpret human emotions. Judith Hurwtiz, CEO, Hurwitz and Associates. Author and analyst dispelling the myth that AI is a masterplot to turn humans into idiots. Dan DeMichele, Vice President, Offering Management, IBM. Using Watson Data Platform to make data simple for humans. At the start of the session, each panelist gave a brief overview of what they are working on. As an analyst, Judith clearly had explored many angles of AI and had a lot of perspective to provide. She talked about cars navigating the obstacles of the road and driving themselves. She explained how she had discussed near-term limits of robots with Marvin Minsky as they pondered how challenging it would be to teach a robot to ride a bike. Tom Frost offered up his robotic expertise by adding how difficult it is to teach a robot to turn a door handle and open a traditional door. We could see how different components of these technologies connect to each other through the interchange between the panelists. If AI is integrated into cars to drive them safely and effectively, technology by Affectiva can help identify if a human is driving drunk and take over the controls to provide a safe ride home. Tom emphasized that the concept of the Terminator robot taking over the world is a myth. We tend to focus more on the "intelligence" part of AI instead of the "artificial" part. Artificial makes our machines less intelligent. The power of IBM's Watson is allowing us to make better sense of data and patterns. The speed of processing combined with software algorithms is leading the path of data science. We are creating more data, and AI is allowing us to make better sense of it. All this data needs to add value to people's lives, expressed Gabi. This means we need to be able to opt out of having our personal data captured, but if we opt in, we need to see a benefit. For example, if knowing my location gives me a better experience finding a restaurant that I like, I am more willing to opt in. But maybe letting everyone know where I am every minute of the day does not benefit me, and it may even harm me. That's where we need to be able to opt out. Many of the early location tracking apps shut down for this exact reason. Trust is an important part of acceptance and success of any technology. Judith stated that blindly trusting a black box processing data can be dangerous, at least where the technology is today. Therefore, Tom added, "We need to be happy with good enough." In essence, he is emphasizing the "science" in Data Science. These traits are human and will be difficult to build into the AI robots of the near future. AI has a long way to go to learn more about humans and how to use learned data to behave like humans. Until then, we do not have to worry that they will take over and make us their slaves. Eric Braun, a serial entrepreneur, is currently CEO of 30hands Learning and Founder of South Shore Innovation.